Canada’s embattled sealing industry was dealt another blow Thursday when a European Union court upheld the EU’s three-year-old ban on seal products. 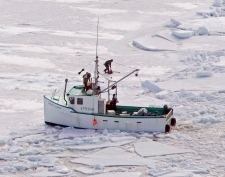 The General Court of the European Union issued a statement saying it rejected a challenge from a group that includes the Canadian Fur Institute, the seal processing industry and one of Canada’s largest Inuit groups. The Luxembourg-based court said the existing ban is valid because it fairly harmonizes the EU market while protecting the economic and social interests of Inuit communities.Even though the Inuit have an exemption that allows them to sell seal products in Europe, the Inuit Tapiriit Kanatami wants the ban struck down because the group believes its markets will dry up if a wider ban remains in place. The Nunavut government issued a statement saying prices for sealskins have collapsed since the EU ban was introduced, despite the Inuit exemption. It’s the second time the group has lost a challenge before the European court. The first judgment is the subject of an appeal and the industry has 60 days to launch a second appeal. “The Conservative government and party are the only party standing up for hunters, as we understand the way of life in remote coastal communities where sealing is a means of survival,” the statement said.